I found this image on Etsy and I am considering buying it to hang on one of my walls. 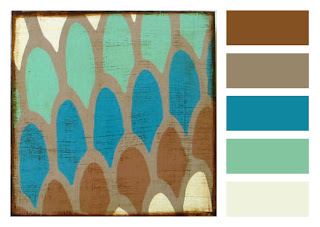 I'm in love with teal this season and this is a great color combination. Enjoy your week, I am off dreaming of teal. really like the colors oh your site. very cute. my name is Brian. I work at a site called lotsofbuttons.com. Would you be interested in doing a giveaway or review of our site? Thanks!